Following the success of the joint Walkhighlands/Mountaineering Scotland navigation courses over the last few years there will be a further 2 courses this summer. These single day courses will be held on 27 and 28 May at Arrochar and on 8 and 9 July in the Ochils. This is the chance to brush up on your navigation skills while meeting other Walkhighlands users on a fun and friendly day. Each course will begin with an hour of work indoors and then the rest of the day will be spent on practical navigation skills on the hill. 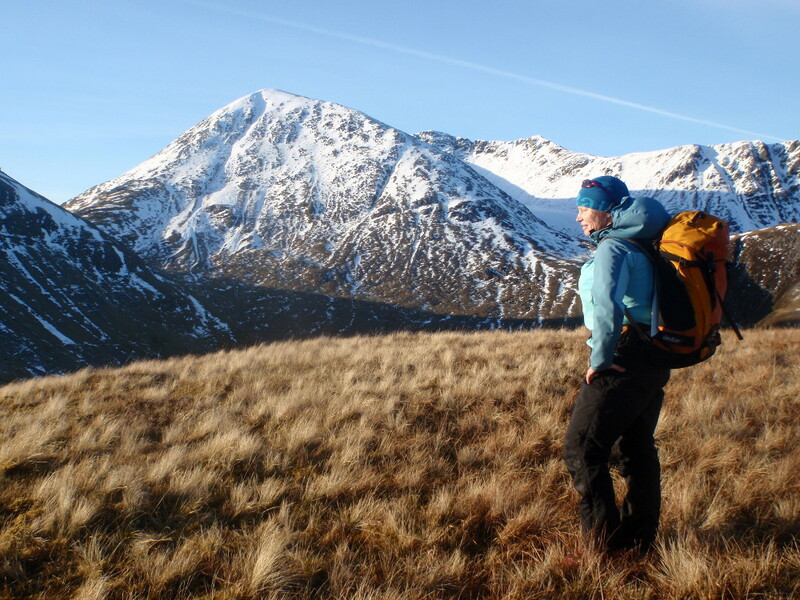 The courses will be run by Heather Morning, Mountain Safety Officer at Mountaineering Scotland and are aimed at anyone who wants to learn how to navigate for hillwalking or to brush up existing knowledge. The courses are very friendly and will also provide a chance to meet with other Walkhighlands users. The courses are being run on a no-profit, minimal cost basis and are £35 each which includes a year’s free membership of Mountaineering Scotland (formerly the MCofS). Places are limited to 12 on each day and bookings are now being taken by Mountaineering Scotland. See how to book below. Heather says, “These courses are an ideal way to increase your confidence in finding your way on the hill, learn the skills of map reading and compass bearings and pick up handy hints and techniques to locate yourself in poor visibility”. The navigation course will provide a gentle introduction to the theory followed by a practical session on the hill alongside other Walkhighlands users. Ratios are 1:6 and there are spaces for 12 people per course (the minimum age is 18 years). You will need to be equipped for a day out on the hill with food and drink, boots, gaiters, waterproof jacket and overtrousers, warm hat and gloves or mitts and a map case or clear poly bag. Maps and compasses will be provided. Book your place online via the Mountaineering Scotland members web portal. If you are not already a member, click on the ‘Sign up’ button on the landing page. Provide your details and then go straight into the ‘Events & courses’ section. The Walkhighlands navigation courses can be found under the ‘Mountain skills courses’. Choose your preferred date and follow the instructions to pay. This will automatically join you up as a Mountaineering Scotland member. You will receive a booking confirmation email with joining instructions for the course within minutes and your membership pack will arrive through the post within a week. Any problems, contact the Mountaineering Scotland team on 01738 493942. Find out more about the navigation courses on the Mountaineering Scotland website. Last year the courses booked up very quickly so get in early if you want to go!